Episode 3×01 “They’re Back, Aren’t They?” — After a confused Lucifer wakes up in the middle of the desert with his wings back, he recruits the help of Chloe to help figure out what happened to him and why. Upon doing their own research, they come across a crime scene that could be tied to Lucifer’s kidnapping. When the Lancaster Police Department get involved, newcomer Lieutenant Marcus Pierce (Tom Welling) fails to make a great impression on everyone with his stern demeanor. The investigation goes awry when Lucifer finds himself in another compromising situation and something much darker is revealed. 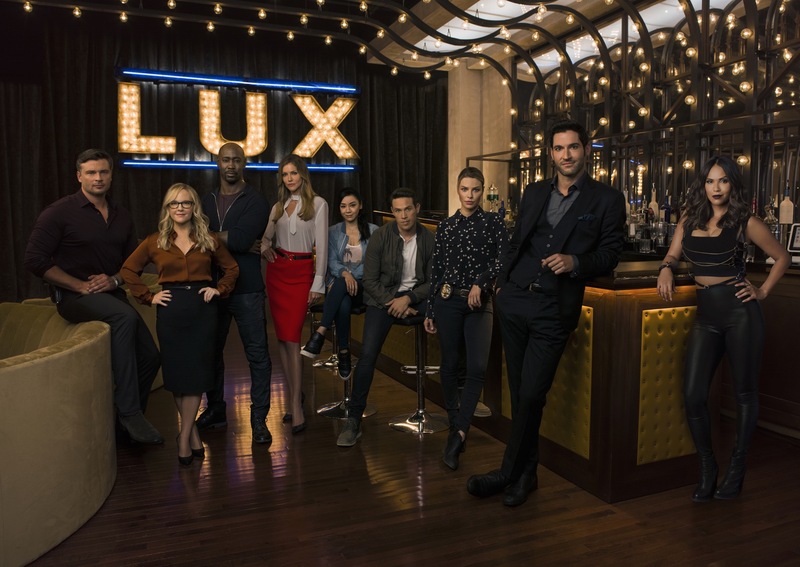 Cast: Tom Ellis as Lucifer, Lauren German as Chloe, DB Woodside as Amenadiel, Lesley-Ann Brandt as Maze, Kevin Alejandro as Dan, Scarlett Estevez as Trixie, Rachael Harris as Linda Martin, Tricia Helfer as Charlotte, Aimee Garcia as Ella, Tom Welling as Marcus Pierce. Guest Cast: Pej Vahdat as Josh McGregor, Michael Gladis as Sam and Jeremiah Birkett as Lee. Air Date: Monday October 2 (8:00-9:00 PM ET/PT) on FOX. LUCIFER "They're Back, Aren't They?" 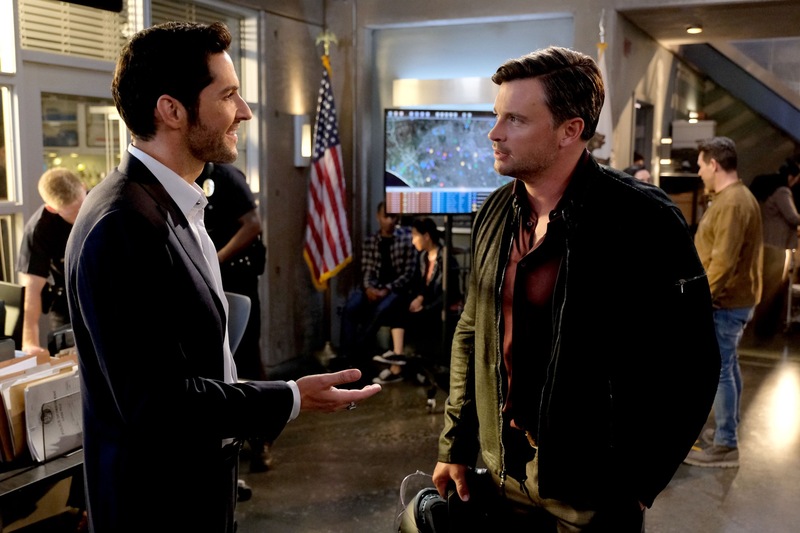 LUCIFER: L-R: Tom Ellis and Tom Welling in the "They?? ?re Back, Aren?? ?t They?" Season Three premiere episode of LUCIFER airing Monday, Oct. 2 (8:00-9:00 PM ET/PT) on FOX. ©2017 Fox Broadcasting Co. Cr: FOX.